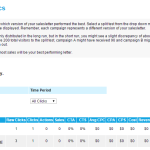 This where you can see which version of your salesletter performed the best. Select a split test from the drop down menu. Each campaign within the split test will be displayed. 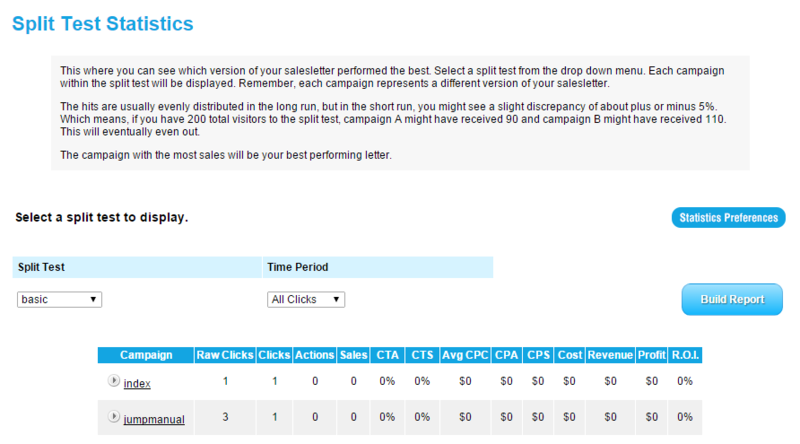 Remember, each campaign represents a different version of your salesletter. The hits are usually evenly distributed in the long run, but in the short run, you might see a slight discrepancy of about plus or minus 5%. Which means, if you have 200 total visitors to the split test, campaign A might have received 90 and campaign B might have received 110. This will eventually even out. The campaign with the most sales will be your best performing letter.